Instead, the result left a divided Tory Party and a prime minister completely disabused of the fiction that she had – or has – any mandate for the destructive, job-destroying Brexit for which she had been planning. Now, this government will almost certainly need cross-party support for a deal, and parliament should ensure that jobs and livelihoods are protected by rejecting outright the notion that a “No Deal” is in any way acceptable. But while her weak and unstable government staggers on, and risks the peace in Northern Ireland by making deals with the DUP, we cannot allow this government’s continuing abysmal record on the economy to be lost beneath the noise. We have already seen the extent of Tory economic failure over the last seven years. They promised in 2010 to eliminate the deficit by 2015 and now it looks like they won’t even manage to achieve their new target of reaching this by 2025. The government is also on track to borrow more than every Labour government in history combined. We must never ever take any lectures from the Tories on managing the public finances. This week, whilst the sheer scale of Theresa May’s ineptitude as a prime minister and campaigner are exposed, new data has been released that further shows the Tory claim of economic competence for the sham that it is. The UK economy is still too reliant on consumption for growth, and yet retail footfall has declined by 2.6 per cent year on year. That means fewer people spending in the shops, leaving growth weak and vulnerable. Meanwhile consumer spending has fallen for the first time in four years, sales falling by nearly one per cent year on year. This drop started long before the election result so, no matter what Tories might claim, political uncertainty following the hung parliament is far from the only factor. It is not just consumers who are worried about this government’s economic management either. Among business leaders, as well as Institute of Directors members, confidence in the UK economy has seen a negative swing of 34 per cent, leaving only 20 per cent optimistic about the UK’s economic outlook. In the service sector – which accounts for a huge 80 per cent of our economy – new figures show that growth is at a standstill and on the brink of shrinking. Increasing prices driven by rising inflation are stretching household budgets and putting jobs in peril. The consumer prices index (CPI), which measures the change in prices to consumer goods, has now hit a 12-month rate of 2.9 per cent, seriously negatively impacting on living standards and increasing household costs. And if all this were not enough, statistics from the Office of National Statistics have shown that in the first quarter of this year, the UK was the worst performer on growth of all G7 nations. The Tories are going to say a lot this week and in the months ahead that they offer stability, certainty, and leadership, citing that as the main reason for their government – which is already on life support – to stumble on. But the facts are that this prime minister is overseeing a weak economy, political and economic uncertainty, and has lost all her authority in parliament, the country, and in Europe. What this election showed was that rather than being a force for economic competence, the Tories have lost all credibility and the trust of the British public. Their record is one of missed targets, cuts that disproportionately hit the poorest, and failed austerity – and at this election the British public rejected it. Labour is united and came together to fight the election. Theresa May is a weakened and diminished prime minister. If we build on the gains we made this June, she will prove to be a short-lived one. 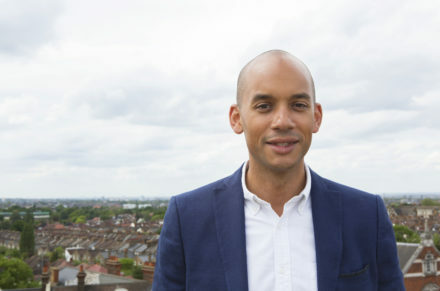 Chuka Umunna is MP for Streatham and a former shadow business secretary.